In a 2015 study, the Indian Ministry of Social Justice & Empowerment estimated that of the 27 million people in the state, 230,000-322,000 individuals are opioid-dependent, a similar percentage as in the U.S. Further, the study estimates that 76% of opioid-dependent individuals in Punjab are 18-35 years old. [1,6] In this age range, 4% of people are dependent on opioids, and, if previous nationwide studies are incorporated, 15% of people in the state regularly use opioids for various reasons. This study, the first of its kind to estimate the scope of opioid dependence in Punjab with scientifically valid methodology, elucidates the presence and the magnitude of the problem. This begs the question: how are opioids getting into Punjab and into the hands of the population? To answer this, one must delve into the role of the United States in the global opioid enterprise. When opium growth is mentioned, one country is particularly prominent: Afghanistan. According to the United Nations Office on Drugs and Crime report, nearly two-thirds of opium production and cultivation is done in Afghanistan. The vast majority of this opium is trafficked out of Afghanistan into surrounding nations, and eventually arrives to the US and other Western countries. Opiates trafficked on the Southern route out of Afghanistan, through Pakistan, often end up in India before shipment to the West. Punjab, which is directly on the India-Pakistan border, has become major hub on the transit route of opioids into the country. Additionally, the “80/20 rule” imposed by the U.S. Drug Enforcement Agency specifies that narcotics raw material (NRM) can only be imported from seven countries, and that India and Turkey must be the source of at least 80 percent of the United States’ requirement for NRM. The policy does not specify where the narcotics must come from before being exported from India to the U.S., and it is thought that much of the opioids coming into the U.S. from India originated in Afghanistan. It is along this route that opioids disseminate to the Punjabi population. Like the U.S., Punjab has experienced a recent surge in public recognition, resulting in responses from policy-makers and physicians alike. Dr. PD Garg, professor at the Psychiatry Department of Government Medical College Amritsar and Director of the Swami Vivakanand De-addiction Center in Punjab, explains how the state is combating the epidemic: “The state has established thirty-five de-addiction centers, twenty rehabilitation centers, and numerous outpatient opioid assistant treatment clinics.” The backbone of the services provided by these centers and clinics largely revolves around opioid substitution therapy in the form of buprenorphine/naloxone tablets. Indeed, the state has seen further expansion of what is titled “buprenorphine-based Outpatient Opioid Assisted Treatment (OOAT) programs” and “state-subsidized opioid substitution therapy (OST).”[6,9,10] When asked about the role of emergency departments (EDs) in fighting the opioid crisis in Punjab, Dr. Garg said that psychiatry has had a predominant role, with emergency medicine (EM) playing a much lesser role. Dr. Garg and most of the physicians at de-addiction centers in Punjab have their formal training in psychiatry. Dr. Garg states, “emergency services are poor in the state, and in regard to drug de-addiction, there is no dedicated emergency service in the state.” Comparatively, in the U.S. there has recently been an expansion in the role of EM in combating opioid addiction. Indeed, many programs are increasingly pushing for providers to have the ability to prescribe buprenorphine from the ED. Additionally, more EDs around the country are starting bridging clinics to facilitate long-term care for those who are addicted, and naloxone availability is increasing. 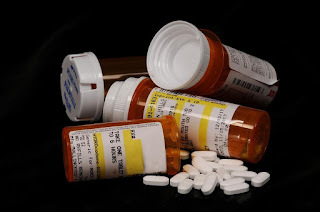 According to the above-mentioned study, the majority opinioned that the best treatment of opioid dependence is long-term agonist medications (i.e., OST). Despite these changes, in the United States, the use of OST from the ED, such as buprenorphine, is still a contentious point of debate. Overall, the field of emergency medicine is a freshly emerging branch in India. In 2009, EM was officially recognized as a medical specialty by the Medical Council of India, and is therefore still in its infancy. A 2011 study done in Chennai, India, found that a minority of both doctors and nurses in the ED are certified in BLS, ACLS, PALS, and ATLS. While almost all departments surveyed had the basic code medications, a number of basic equipment items were lacking from a large percentage of the EDs. Further, another study found that only about 2% of patients are transported to an ED by ambulance. These findings help explain Dr. Garg’s above statement describing the limited role that EM has played in Punjab’s opioid crisis. In comparison, EM in the U.S. has found itself in the niche role of serving as a safety net for at-risk populations. This creates a unique position for EM in the U.S. opioid crisis, a role that the Punjab’s emergency services are currently not well suited to fill. The U.S.’ and Punjab’s opioid struggles are unknowingly entwined, and both have seen a surge of public attention and policy development. While EDs are taking an aggressive stance in the U.S., Punjab’s psychiatrists are doing most of the groundwork. Where OST is being established as a priority treatment method in Punjab, the U.S. policies seem to be advancing more slowly. Nonetheless, the situations in Punjab and the United States have many similarities. Given the length of time needed to see nationwide change, those on the forefront of the opioid epidemic in the U.S. should pay close attention to the success/failure of the policies being enacted in the much smaller, controlled state of Punjab. In doing so, they can see what is and is not effective, and allow more informed policy-making going forward. 1. Affairs (ASPA) AS of P. What is the U.S. Opioid Epidemic? HHS.gov. https://www.hhs.gov/opioids/about-the-epidemic/index.html. Published December 4, 2017. Accessed July 16, 2018. 2. Denyer S. Drug epidemic grips India’s Punjab state. Washington Post. https://www.washingtonpost.com/world/drug-epidemic-grips-indias-punjab-state/2012/12/31/092719a2-48f6-11e2-b6f0-e851e741d196_story.html. Accessed July 16, 2018. 3. Dummett M. Punjab’s drugs epidemic. BBC News. https://www.bbc.co.uk/news/world-south-asia-11925617. Published December 8, 2010. Accessed July 16, 2018. 4. Barry E. Punjab’s Heroin Problem Bursts Into the Open as an Election Issue. The New York Times. https://www.nytimes.com/2017/02/03/world/asia/india-punjab-heroin.html. Published December 22, 2017. Accessed July 16, 2018. 5. Majumder S. Why has India’s Punjab fallen into the grip of drug abuse? BBC News. https://www.bbc.co.uk/news/world-asia-india-38824478. Published February 2, 2017. Accessed July 16, 2018. 6. India - Punjab Opioid Dependence Survey 2015 | GHDx. http://ghdx.healthdata.org/record/india-punjab-opioid-dependence-survey-2015. Accessed July 16, 2018. 7. UNODC Market Analysis of Plant Based Drugs. http://www.unodc.org/wdr2017/field/Booklet_3_Plantbased.pdf. Accessed July 16, 2018. 8. 2008 - Final Rule: Authorized Sources of Narcotic Raw Materials. https://www.deadiversion.usdoj.gov/fed_regs/rules/2008/fr0206.htm. Accessed July 16, 2018. 9. Punjab’s Opioid Crisis | Current Affairs. IAS Parliament. http://www.iasparliament.com/current-affairs/punjabs-opioid-crisis. Accessed July 16, 2018. 10. Department of Health & Family Welfare, Punjab, India. http://pbhealth.gov.in/de_efforts.html. Accessed July 16, 2018.